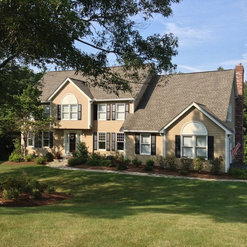 We have had Dave and his crew do several projects (interior and exterior) for us during the last year. Dave is a true professional with strong project management skills, he is very responsive, provides creative ideas and product guidance and he is an excellent communicator with both customers and his crews. The crews arrive on time, work hard, are respectful and do high quality work. 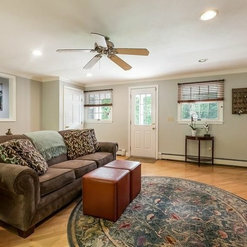 We are VERY SATISFIED with Paint Pro New England and highly recommend them. Joe and Judy Driscoll, Holliston. 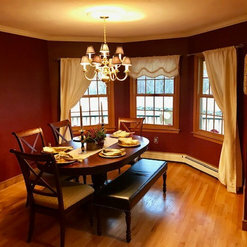 Paint Pro New England performed excellent interior painting services for us in November, 2018. Estimate came in quickly and was true to final project costs. Painters on site were careful, cleaned up well and never inconvenienced us as homeowners. They responded well to any comments or revised directions we gave. 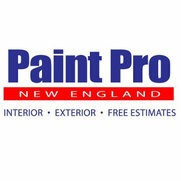 We will use Dave Griffiths and Paint Pro New England again! 5 stars for Dave and his crew at Paint Pro! 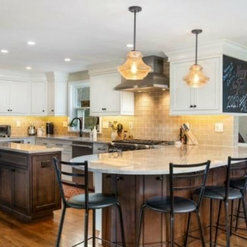 As a local realtor I am often asked by clients if I know of a good painter in the area. I refer Dave because he is responsive and professional and his crew at Paint Pro does great work. I have only had positive feedback from clients that have used Paint Pro. If I could give 10 stars I would. David and the Paint Pro New England team are superb! Extremely talented, responsive while taking enormous pride in their work. They guarantee everything. I have used David since he first went into business. 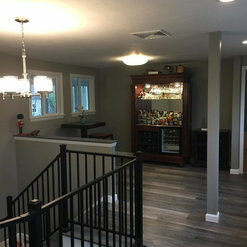 I have referred him many times to friends and they always call to thank me and express their complete satisfaction with the work and pricing. I recently was moving and had an emergency which was taken care of that day when a buyer was coming and I had to remove a whole wall of pictures which would have been an eyesore with holes if it weren't for David and his excellent service. Superb customer service from start to finish! 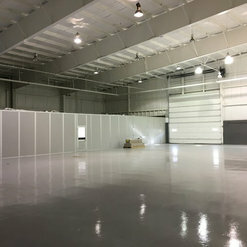 Dave and his crew of painters are true professionals. They showed respect for us and our home at all times, were flexible with our schedules. met our budget and went above and beyond to meet our expectations. We hired them again for additional projects. Gladly recommend them to friends and family. Dave and his team were professional and detail oriented. I couldn’t be happier with the result of both the interior and exterior of the home. Dave has an excellent eye for color. I wanted the walls painted grey but wanted to be sure that the grey would compliment the centerpiece of the porch, a blue wall accent piece. It's perfect. What I really appreciated as well was his attention to following up when I found some areas in a stairwell that had been missed, mostly because of lighting. He sent his painters back quickly to remedy the situation. He returns phone calls promptly and if there are any changes in scheduling he notifies you. He is professional in every way and expects his crew to be as well. 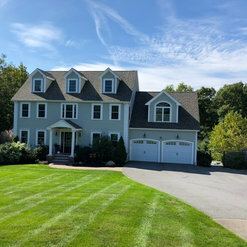 We have been using Paint Pro New England for years painting the outside woodwork trim and deck on our house (house has aluminum siding) in Holliston. The results of their work have always been satisfactory and his employees have been very professional. I would not hesitate to have Dave return to our home and do work for us again. Dave and his staff were such a pleasure to work with. His quote was clear, fair and realistic, and he kept me in the loop about any decisions or necessary changes. The staff was courteous, hard working, and accomodating. 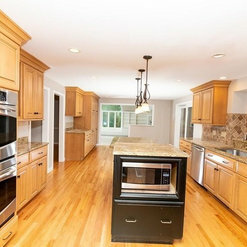 As a contractor and remodeler in the MetroWest area PaintPro is the company I turn to for my projects. I have worked with this company for several years now and know PaintPro will be a team player on jobs of any size. Here's what I like: 1) My phone calls are always returned promptly; 2) The quality of work matches my standards and is accomplished by a small team of professionals; 3) I can count on PaintPro for both interior and exterior work; 4) the work has always been done on time and on budget according to my projects; 5) I like supporting local - and successful - businesses. Paint Pro did a wonderful job painting our bathroom when it was finished two years ago, then were able to come right away and fix the ceiling when we had a leak about a year and a half later. Both times they were professional and the results were outstanding. Would definitely hire them again.